Unique Wool Paintings by Worcestershire Textiles Artist Raya Brown. 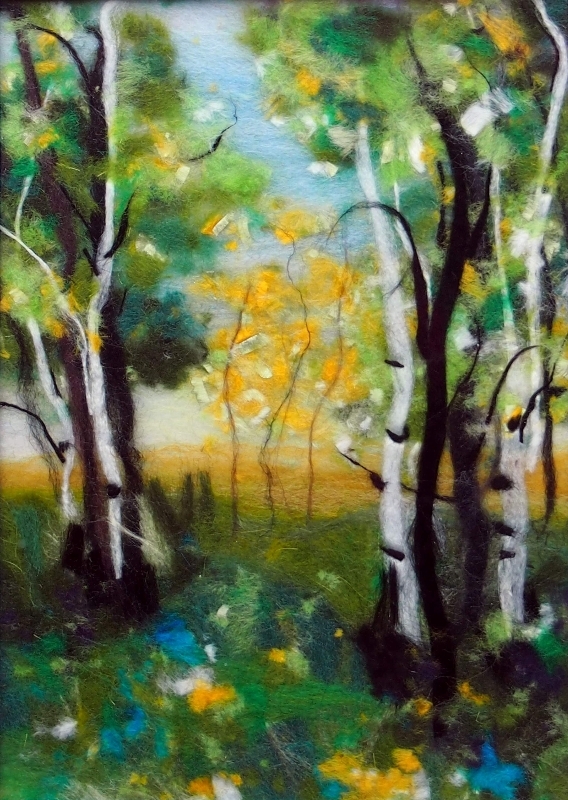 These wool paintings are neither watercolours nor felted pictures. 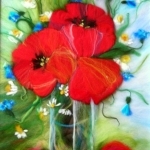 They are created using a unique ‘Wool Painting’ or painting with wool fibres technique. 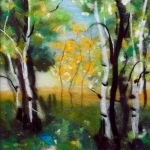 Wool watercolour, as some people call it, is an amazing relatively new technique which originated in St. Petersburg. 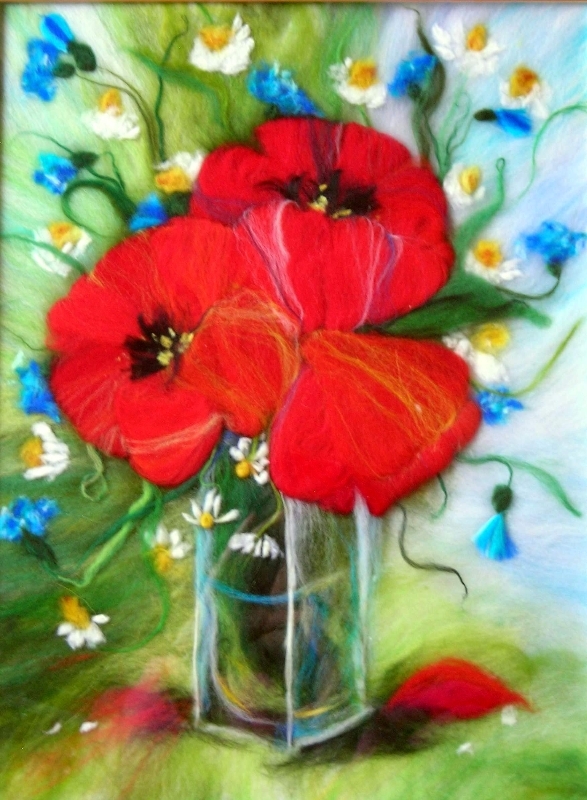 The technique involves creating a fibre picture with merino wool, silk and viscose. Laying and shaping fibres, blending the colours together, creating beautiful textures and effects allows the Textiles Artist Raya Brown to make wool paintings that resemble watercolour paintings. ‘I very much enjoy the therapeutic experience of working with natural fibres. Exploring the tactile qualities of wool and using coloured strands of wool as one would use the brush strokes gives me so much pleasure’ says Raya Brown.